Growing up in the isolated, nether regions of Tasmania, ‘Greg Trull’ refused to let circumstance get in the way of his passion. Instead, he would go on to become one of the main driving forces behind the Australian heavy metal staple ‘Dreadnaught’- the Melbourne-based act who have been paving the way for local Aussie metal since 1992. 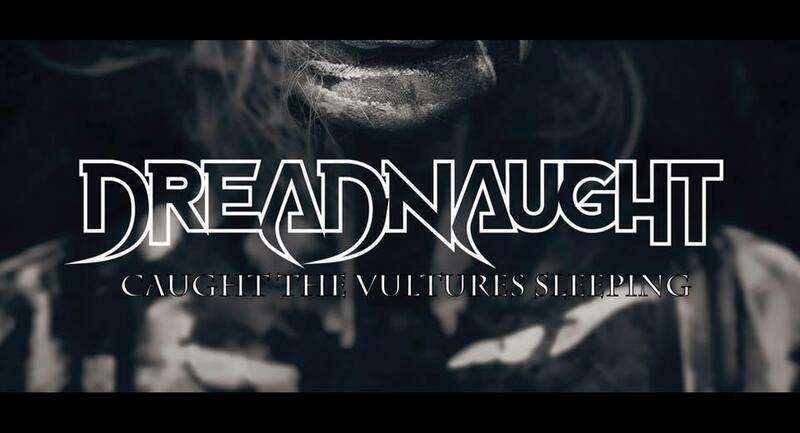 Since its inception Dreadnaught have released six albums, have had the opportunity of working with record label titans ‘Roadrunner Records’, and have supported many metal legends during their Australian tours, such as Testament, Strapping Young Lad, Nevermore, Paradise Lost, and Cathedral to name some. I caught up with Greg, the vocalist of Dreadnaught, and discussed the music scene back in the state of Tasmania, why Melbourne is widely regarded as the music capital of Aus, and how he sees heavy metal in the country today. The first thing that jumped out at me about Dreadnaught is that it was originally formed by the ex-members of a number of bands in Tasmania? That’s correct, but we’re not a “Tasmanian band”. It’s the misconception about us. The original line-up of the band are all Tasmanian people, but Dreadnaught are a Melbourne band. We formed in Melbourne and we reside in Melbourne. Wikipedia and that is a little bit out of whack. But it’s true Dreadnaught is made up of Tasmanian people- it’s a very smallish scene down there, we all played gigs with one other in each other’s bands and that. I wanted to ask further about the scene in Tasmania because I’ve still never been there myself, and it does seem like a fairly quiet location – what was it like there? Could you say that where you grew up influenced the band’s sound at all, or was it just more the situation? Again, I think it goes back to the isolation and not having much to do. Your just playing in a band and just focusing on original music. When I was a kid I used to worship a lot of the Melbourne bands, but, doing music in a place like Tassie, you don’t take the biggest thought about outside influences. 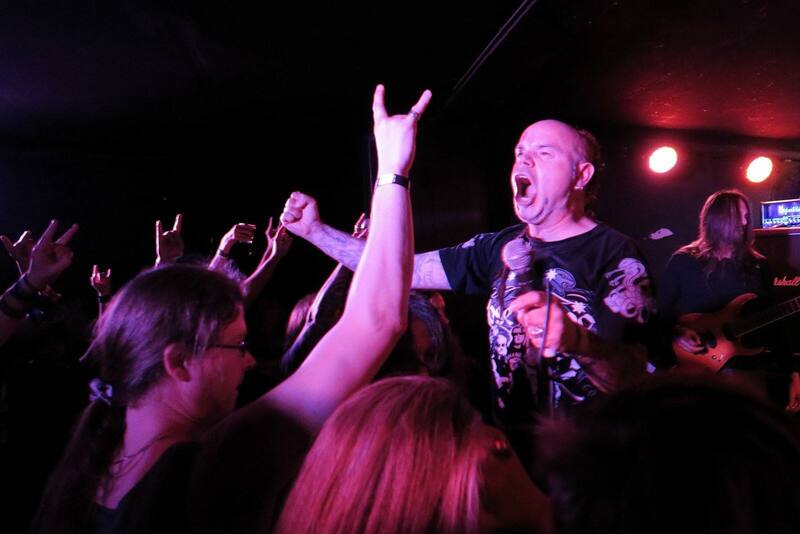 In Melbourne, there’s quite a healthy music scene across all the board of all genres of heavy music. You can play four to five nights a week here if you want to. (In Tas) we didn’t have any of that. We couldn’t even get into venues because they were just full of covers bands. So we would hire a PA, hire a hall, got the word out there, and ended up getting hundreds of people. That’s a long time ago now. But again, you have Psycroptic still based in Tas and touring the world, which is just awesome. You still found a way to make it happen, regardless of your situation, but eventually you still believed the best decision for your career would be to relocate to Melbourne? That’s it. ‘Richie Poate’ was here (in Melbourne) for years before I ever got here, along with other various members of the band. But that was the idea; move somewhere where there was a healthy music scene. And Melbourne still has a really healthy music scene, since back when we started in the early-90s. Even today, if you’re a new band you can still get a gig, you can still play. That’s why I live here and have done so for a long time. It’s known as great musical city and is proud of its musical heritage, and continues to be quite staunch about protecting that. There’s various other cities in the world very similar, like Berlin; they’re very strong on their music scene. So is Glasgow in Scotland. Unfortunately, in Sydney – which is a larger city than Melbourne – venues are drying up, which is a real shame. Yeah. Music is celebrated here and it’s also protected. When people try to move into apartments here built in the last 5 minutes – and there’s plenty of “them” – and they complain about the noise, there are people who are quick to shut that s*** down. It’s like, if you don’t like that noise, don’t buy an apartment in the inner city. 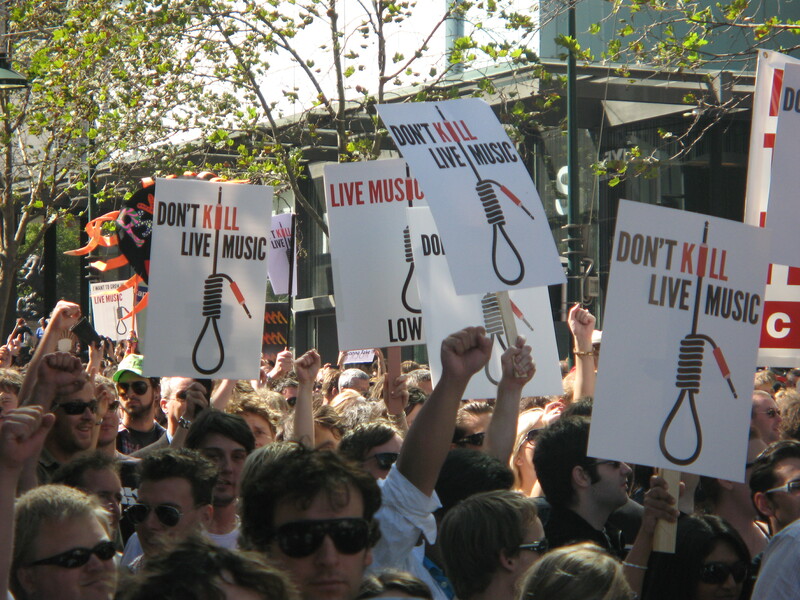 That’s why there was the save live music march (‘2010 Melbourne live music rally’) about seven or eight years ago. People marched onto parliament, like a guy called ‘Paul Kelly’. I was there, and he was the first to say that ‘these places were my university’. And the man’s a national treasure for f***’s sake. He was saying, ‘why should developer’s, and people paying half a million dollars for these apartments, get a say in something that already existed (before they got there)? If you don’t like it, then f*** off to the suburbs where it’s quiet.’ You had people like ‘John Farnham’ leading the charge going, ‘Well hang on, you can’t do that… You can’t build an apartment behind somewhere like the “Espy” (Esplanade Hotel, St. Kilda) that’s had live music for a hundred years.’ It goes back to what I was saying just before (music being protected). That’s great thing about Melbourne. Jumping back to the present and on to more recent news, I see you guys are about to be playing on the ‘Blister IV Metal Festival’? It’s going to be just another great festival night that’s happening in Australia. The amount of local festivals that are happening Australia, nationwide, is just brilliant. We’ve got ‘Steel Assassins’ (Sydney), we just did ‘Legions of Steel’ here in Melbourne, we’ve got ‘The New Dead’ festival which was on last weekend in Adelaide, the ‘Dead of Winter’ festival in Brisbane… it’s f***cking awesome. And people are coming too, which is the best. Like, when we did Legions of Steel, it was packed! There must had been 500 to 700 hundred people there. It’s not just Melbourne, The New Dead on the weekend was sold out in Adelaide, the Dead of Winter is always sold out in Brisbane… These things are continuing and they’re getting bigger and bigger every year. It’s only going to be good for not only the Australian metal scene, but for local bands; because there’s always a new band coming up, and they might have to go on first and s*** like that. It’s great. So rather than being specific on Blister Fest, I just think something like that, with these “mini fest’s” that are going on is a really good thing. It’s only doing us/Australia a favour by having these things on. I think I’ve fallen on the news that you guys may be getting some new material down, is this true? There is. We’ve just started on a few new songs. We’re currently look for a permanent drummer, though. Our drummer, ‘Marty O’Shea’, kind of retired a few months ago from original music. He’s been touring the world and playing for a long, long time and, obviously, family comes first. But we have three to four new songs on the horizon. Our plan is to probably put out something on vinyl whether it’s a 7-inch, or an EP, something like that. The way things are happening today, you’ve got one end of the scale: the “digital realm” – that people are into; and you’ve got vinyl that has come back in a big, big way. So they’re the outlet’s we’ll look for.